Samoas cookies made healthy with only 6 ingredients. These sinless samoas bites are filled with caramel flavor from the dates, studded with chocolate chips and coated in toasted coconut. Vegan and gluten-free. I don’t remember the last time I ate a real Girl Scout cookie, but growing up Samoas (aka Carmel DeLites) and Thin Mints were my favorites and I would get excited when my mom would buy them each year. Nowadays I try my best to stay away from packaged cookies and other processed foods, but I love the flavor combination of Samoas so I thought I would come up with a healthy version that I could feel good about eating. These little bites/balls totally fit the bill. They’re sweet, but not too sweet and the toasted coconut makes them really taste like Samoas. 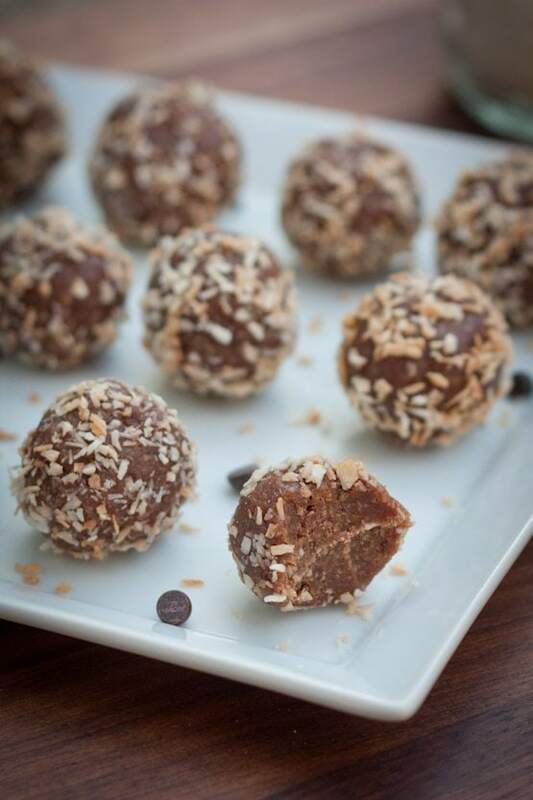 I’ve made similar balls, that were rolled in regular dried coconut before (remember my Heady Goo Balls?) and I must say that the toasted coconut lends a rich flavor that definitely makes these little guys seem more decadent. 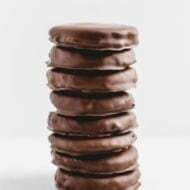 So if you’re craving Girl Scout cookies this spring, just whip up a batch of these. 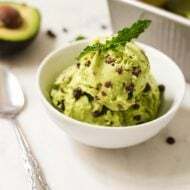 Your sweet tooth will be cured with a treat made of only six ingredients and without any high fructose corn syrup, artificial coloring or hydrogenated oils. Samoas cookies made healthy with only 6 ingredients and about 10 minutes. 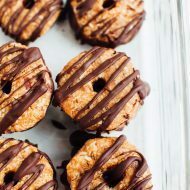 These sinless samoas bites are filled with caramel flavor from the dates, studded with chocolate chips and coated in toasted coconut. Vegan and gluten-free. Pre-heat oven to 400°. Spread all the shredded coconut onto a baking sheet for toasting. Place in oven for 5-10 minutes, until coconut is a light golden brown color. Make sure to stay in the kitchen watch the coconut, as it can easily go from toasted to burnt. 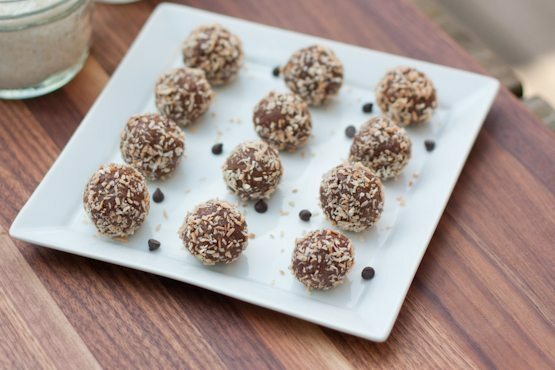 Place dates, almond butter, 1/3 cup of the toasted coconut, 1/2 Tablespoon mini chocolate chips, sea salt and vanilla into a food processor or mini chopper. Process until the mixture turns into a dough ball. Work “dough” with clean hands to add in the other 1/2 Tablespoon of chocolate chips. Pinch off small amounts of the dough (about 1.5 teaspoons full) and roll into 12 balls. 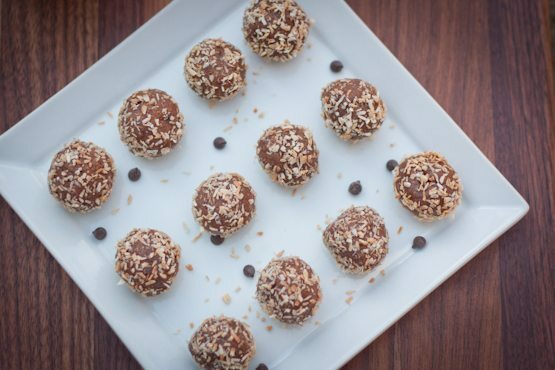 Roll balls in remaining 1/3 cup of toasted coconut. OMG! I have to try these as I absolutely love the girl scout cookie version – unfortunately they are only available when they are selling, and not so good for you (not inexpensive, either, but for a good cause). This solves both problems! These look awesome! It makes me miss my food processor though. Sadly, mine bit the dust a few months ago. OMG When I saw this I immediately jumped up and ran to the fridge to grab these. THANK YOU for bringing some over this morning! (I had a mad chocolate craving tonight and this hit the spot!) These are delicious! You’re so welcome. I’m glad you enjoyed them. And thank you again for having me over for brunch. It was so fun! Thank you so much for this recipe – they capped off an otherwise delicious (and healthy!) Easter dinner with friends last night. They are tasty little morsels, and I think I actually prefer them to GSCs! Just made these and can’t get over how delicious and satisfying they are! Thank you for the great, straight-forward recipe! Yum, these look amazing. I have been obsessed with cookie balls lately. I have to try these asap. Great recipe! A definitely healthy snack! Kids will indeed love this and we know how tough to feed them at times but not this time 🙂 Thanks for the recipe. I made these yesterday and they are to die for! Thank you for the recipe. I feel I have missed out on all of these flavours of Girl Scout cookies living in Canada – we only had 2 flavours of Girl Guide cookies when I was growing up and selling them. A chocolate cream filled cookie and a vanilla cream filled cookie. Somewhere along the way they added a chocolate mint cookie, but that’s about it. I would have totally gone for one with coconut in it! My favorite Girl Scout cookies were the Samoas and Thin Mints too! I could eat an entire box of each by myself… My mom learned to put them on the tallest shelf in the pantry if she wanted any! 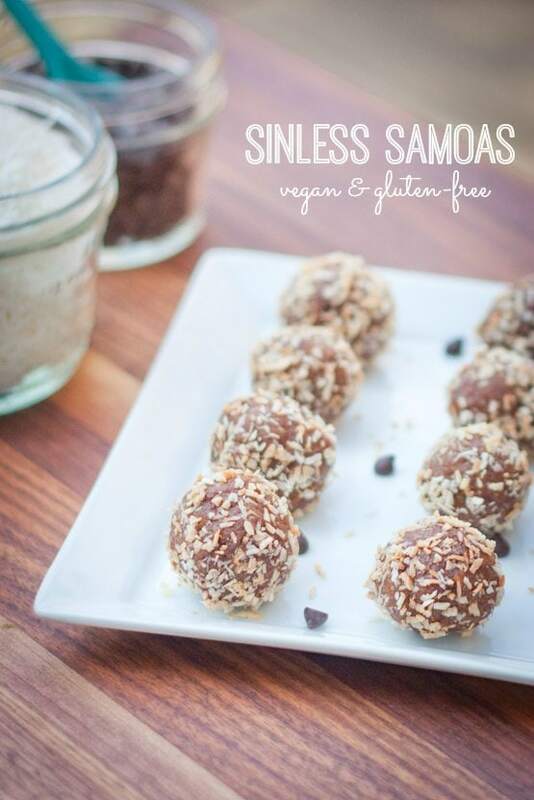 Your sinless Samoa balls look so healthy and satisfying. I saved them to one of my boards on Pinterest — they were too cute to pass up! Looks absolutely delicious! I reckon I could eat about 100 of them! They look fabulous. I recently stumbled on this recipe & whipped up a batch using biscoff cookie butter in place of the almond butter. They were freaking awesome! Seriously. Thank you. I will definitely be making these on the regular. Caramel deLites are my favorite girl scout cookie! 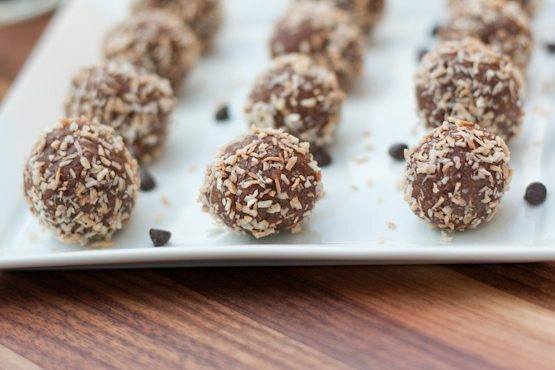 I haven’t had them since eating gluten free and definitely want to make these! 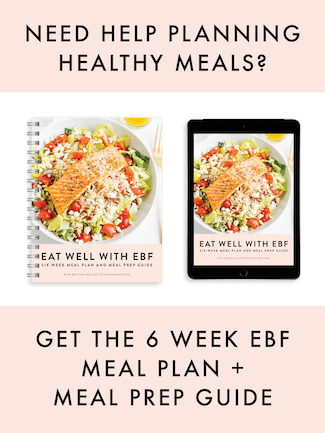 Can I use sunflower butter instead of almond butter? Thanks! Can’t wait to try this!! Yes, you can definitely use sunflower butter instead of the almond butter! Ooh, these sound so good for a quick, sweet bite! Thanks Julie! They’re really good.